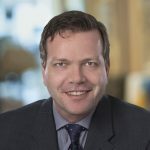 Dr. Niall Ferguson is Head of Critical Care Medicine at the University Health Network and Sinai Health System, and full Professor in the Interdepartmental Division of Critical Care Medicine at the University of Toronto, with appointments in the Departments of Medicine and Physiology, and the Institute of Health Policy, Management and Evaluation at the University of Toronto. He is a Senior Scientist in the Toronto General Research Institute, and the Critical Care Lead for the Toronto-Central Local Health Integration Network. He received his M.D. with honours from the University of Toronto, and went on to complete post-graduate training in Internal Medicine, Respirology, and Critical Care Medicine. Dr. Ferguson completed a Master’s degree in Clinical Epidemiology and Health Care Research at the University of Toronto and subsequently undertook a CIHR Post-doctoral Fellowship in Madrid, Spain. He receives research funding from local, provincial, and national agencies, including the Canadian Institutes of Health Research. Dr. Ferguson’s research, which is published in high-impact journals including the New England Journal of Medicine, JAMA, and the American Journal of Respiratory & Critical Care Medicine focuses on: (1) mechanical ventilation (epidemiology; weaning and liberation; extubation and tracheostomy); (2) acute respiratory distress syndrome (definitions; ventilatory management; trial design); and (3) novel modes of mechanical ventilation, including extra-corporeal life support. Dr. Ferguson is the Scientific Programme Chair for Critical Care Canada Forum, Canada’s premier critical care conference. He is a frequent invited-speaker at national and international meetings, having given over 300 such talks. Ferguson ND, Cook DJ, Guyatt GH, Mehta S, Hand L, Austin P, Zhou Q, Matte A, Walter SD, Lamontagne F, Granton JT, Arabi YM, Arroliga AC, Stewart TE, Slutsky AS, Meade MO, for the OSCILLATE Investigators and The Canadian Critical Care Trials Group. High Frequency Oscillation for Early Acute Respiratory Distress Syndrome. New England Journal of Medicine. 2013; 368:795-805. The ARDS Definition Task Force, Ranieri VM, Rubenfeld GD, Thompson BT, Ferguson ND, Caldwell E, Fan E, Camproto L, Slutsky AS. Acute Respiratory Distress Syndrome: The Berlin Definition. JAMA. 2012; 307:2526-2533. Ferguson ND, Fan E, Camporota L, Antonelli M, Anzueto A, Beale R, Brochard L, Brower R, Esteban A, Gattinoni L, Rhodes A, Slutsky AS, Vincent JL, Rubenfeld GD, Thompson BT, Ranieri VM. The Berlin Definition of ARDS: an expanded rationale, justification, and supplementary material. Intensive Care Medicine. 2012; 38:1573-1582. Phua J, Badia JR, Adhikari NKJ, Friedrich JO, Fowler RA, Singh JM, Scales DC, Stather DR, Li A, Jones A, Gattas DJ, Hallet D, Tomlinson G, Stewart TE, Ferguson ND. Has Mortality from Acute Respiratory Distress Syndrome Decreased Over Time? A Systematic Review. American Journal of Respiratory & Critical Care Medicine 2009; 179:220-227. Esteban A, Ferguson ND, Meade MO, Frutos-Vivar F, Apezteguia C, Brochard L, Raymondos K, Nin N, Hurtado J, Tomicic V, González M, Elizalde J, Nightingale P, Abroug F, Pelosi P, Arabi Y, Moreno R, Jibaja M, D’Empaire G, Sandi F, Matamis D, Montañez AM, Anzueto A, for the VENTILA Group. Evolution of Mechanical Ventilation in Response to Clinical Research. American Journal of Respiratory & Critical Care Medicine 2008; 177:170-177.